May | 2010 | What about this? 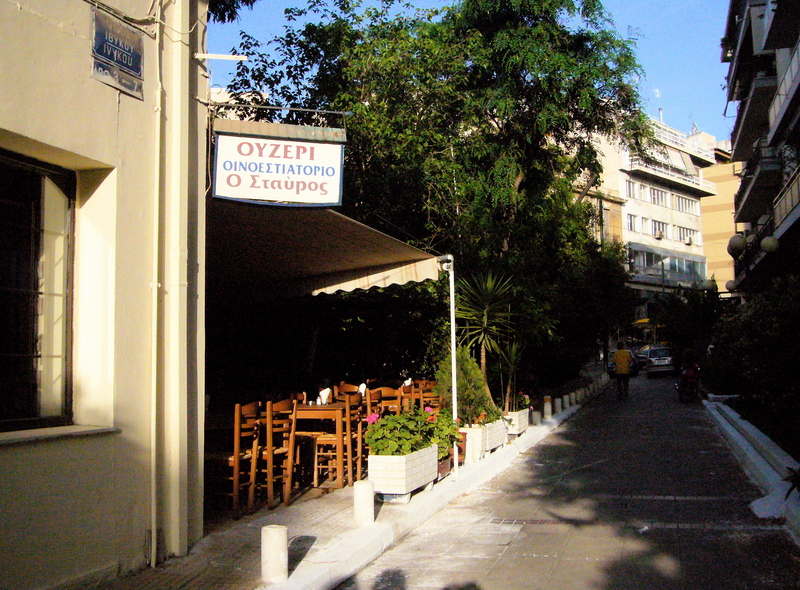 “Tzatziki, please,” is what my family found ourselves saying every time we ordered a meal in Greece. 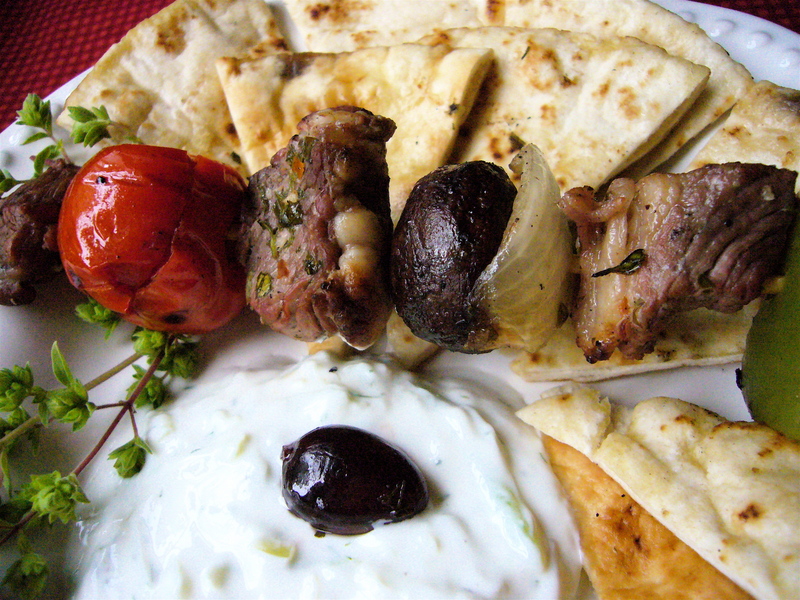 Tzatziki is a refreshing blend of yogurt, cucumbers, and garlic. It’s a healthy and versatile mixture that can be used as a dip or a spread, as a fresh-flavored salad dressing, or as a condiment for grilled meats, especially homemade gyros and souvlaki (skewered meat). Tzatziki would also make a nice accompaniment to salmon. For the very best results use a creamy and thick Greek yogurt. * If you cannot find Greek yogurt, you can substitute drained plain regular yogurt. To drain yogurt: Line a sieve with cheesecloth, place sieve over a bowl, pour yogurt into the sieve, and place sieve and bowl in the refrigerator for eight hours. Grate the peeled cucumber using a coarse grater. Squeeze out as much liquid from the cucumber as possible. Mix the cucumber with the rest of the ingredients. For the best flavor, let the mixture sit for about two hours before serving. Garnish with the olives. 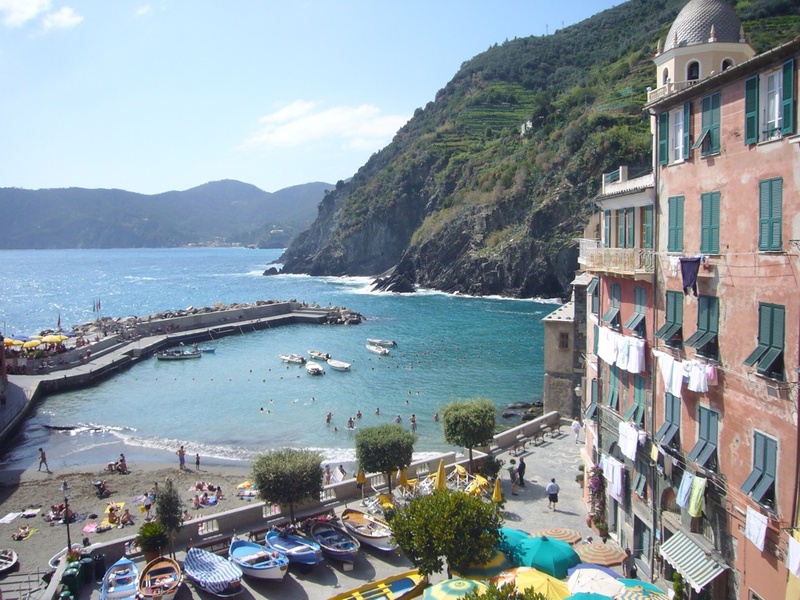 Traveling can be exciting and fun, but it can also be wearisome. Here are a few travel tips that can make your next long trip a little easier. By the way, for those of you who laughed or scoffed at my traveling medicine bag, let me just say that several items in it were needed and used during my recent trip to Greece! The cell phone I carry is a generations-old flip phone and I do not own a laptop computer, so when I received an iPad for my birthday, I was delighted! It was the perfect distraction for this restless traveler during the long flights. I played games, read books and news, did crossword puzzles, listened to audiobooks and music, word processed, designed jewelry, and more! I also downloaded these helpful applications to it before leaving: calculator, weather, flight control, currency exchange, Greek translator, and wifi finder. The irony with the wifi finder is that you need wifi to employ the finder! If not for the fact that I had to stand on street corners in Athens to get adequate wifi, I would have enjoyed posting to my blog and checking my email more often. It’s an indulgent toy, but it made my trip more pleasant and my backpack lighter! I read about this tip in a travel magazine years ago and have since used it many times with great success. Buy a soft foam cervical collar from a drugstore or a medical supply store for about $15.00. It’s smaller, more compact, and offers more support than basic neck travel pillows. When dozing off, your head and neck are comfortably supported – 360 degrees around – in an upright position. Your head can tilt in any direction and your neck does not ache during long flights. Of course, you will need to get over the fact that you’ll look like a whiplash victim! One of my friends gave me a package of No Jet Lag Pills before I left home. I dutifully doled them out to me and my husband during our flights to Greece as directed. We arrived in Greece after a day’s worth of travel – tired, but still energetic enough to meet my daughter and her roommates for a late dinner and a rainy walk back to our hotel. On our return flight home, I accidentally packed the pills away in my checked luggage and could not dispense them. I’ve felt jet lagged for days now and wish I had taken them! The pills are made from homeopathic ingredients and can be purchased online. These socks can be found in most travel stores or online. It’s all about the food. Sometimes the best way to learn about a country and its culture is to learn about its food and its cooking traditions. 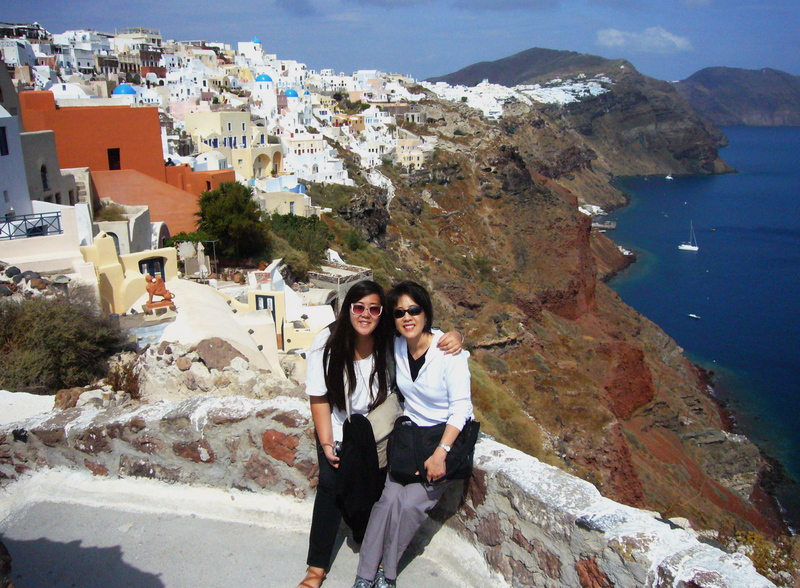 Lucky for me, my daughter, who was a student in Greece for nearly five months, was not only my tour guide to the ancient sites, but also my culinary guide. From dining in little tavernas that speckle the narrow side streets of Athens to eating fresh-caught fish off the coast of Santorini, I was introduced to the exquisite textures and flavors of Greek food. Sampling inch-long baby okra cooked in a light tomato and onion sauce, devouring tiny fried whitebait fish – head, tail, spine and all, and spreading pureed dried yellow peas on bread, were just some of the opportunities I used to discover the gastronomic resources available to the Greeks. I learned that some of the varieties of legumes we eat today are the same ones once eaten in ancient times. And because the sun shines most of the year and very little rain falls, Greek tomatoes and peppers are exceptionally sweet. 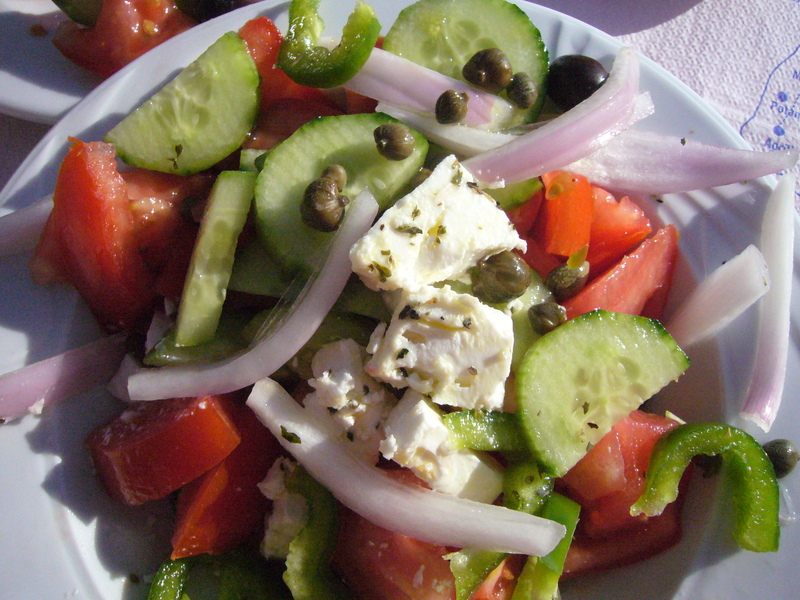 The freshness of Greek ingredients cannot be denied. Most foods are simply delicious because they are prepared with fresh and few ingredients. Very few over-processed foods ever made it to my table while I was in Greece. Scorpion fish or grilled octopus, anyone? 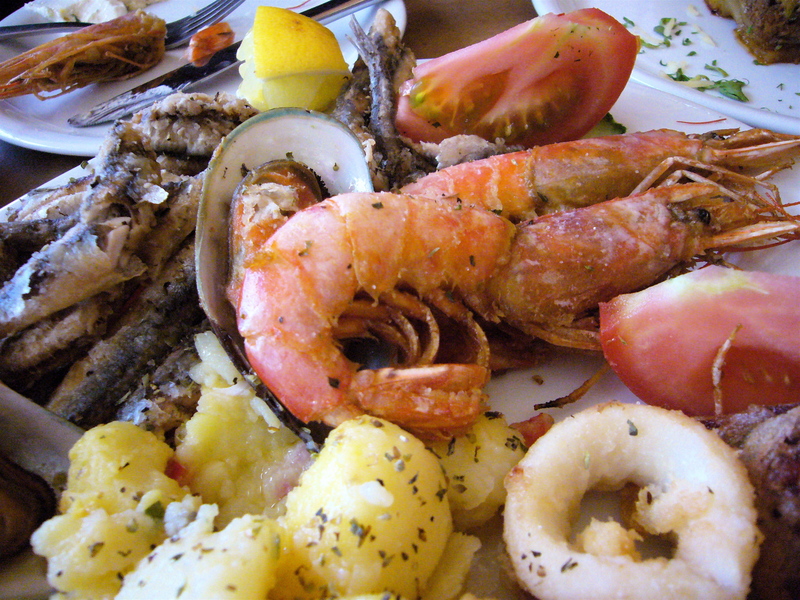 The seafood in Greece was as good as I had anticipated. The subtle lobster-like flavor of the Scorpion fish and the chewy texture of the fresh octopus were both delicious, but it was the fried calamari that really got my attention. Maybe it was the freshness of the squid or the very lightest dredging of flour or the addition of exactly the right amount of salt, but this Greek version of fried calamari was by far the best I’ve ever tasted! The Greeks love their sweets. The sweet scent of freshly baked pastries found me following my nose into more than one local bakery. Even before I left home, my daughter had warned me about this temptation. I’d heard her stories about Bougatsa me Krema and was looking forward to my first taste. It did not disappoint. How could warm layers of buttery, thin phyllo sheets filled with creamy custard, and sprinkled with confectioner’s sugar and cinnamon be disappointing? Before the introduction of sugar, ancient Greeks used honey to sweeten their food. Thick, creamy, Greek yogurt and honey is a traditional treat and Greeks like to make sweet syrups from honey to pour over their cakes and fried sweets. 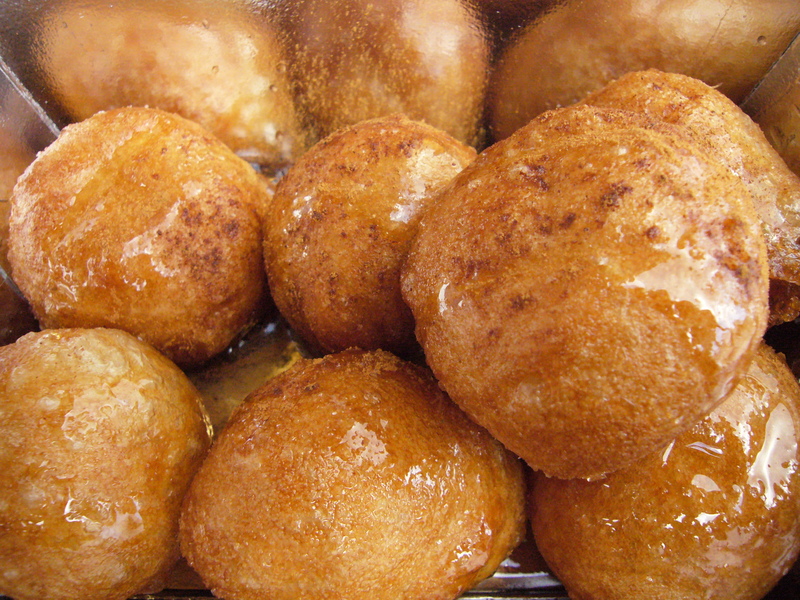 Many Loukoumades or Greek donut balls coated in a honey-syrup called out to me. Now back at home, I wanted to try my hand at making the memorable Bougatsa me Krema and I found a recipe online. 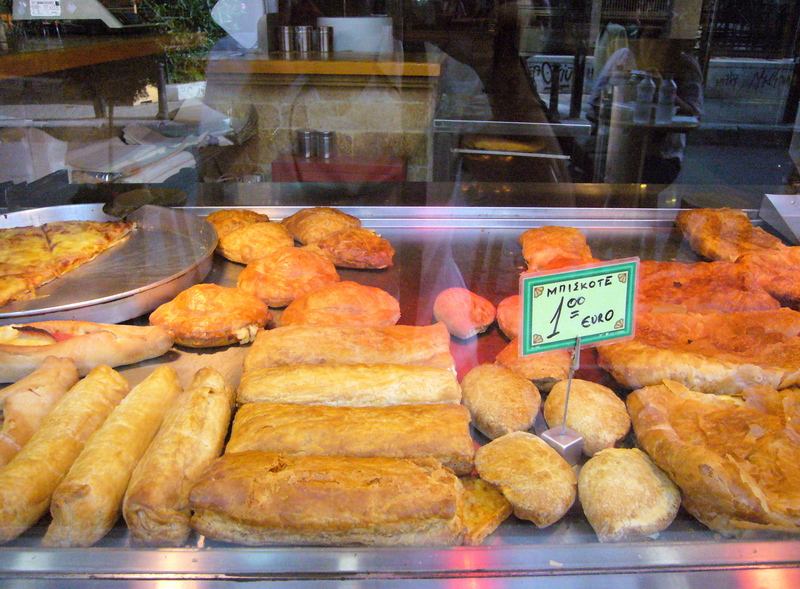 Flakey, buttery and filled with custard – mine was pretty darn close to the deliciousness I experienced in Greece! I share this temptation with you. Warm the milk and lemon peel in a saucepan. Stir in semolina with a wooden spoon until the mixture is thoroughly blended and thickened. In a mixing bowl, beat the eggs, sugar, and vanilla until light and add to the pan, stirring over medium-low heat until it reaches a creamy custard consistency. Remove from heat, take out and discard lemon peel, and allow it to cool completely. Stir occasionally to keep the custard from forming a skin on top. Lightly brush a baking pan (13 X 9 X 2 or equivalent) with butter. Line the bottom of the pan with 8 sheets of phyllo, brushing each sheet well with the melted butter. Add the custard filling. Fold the excess phyllo that overlaps the pan in over the custard. 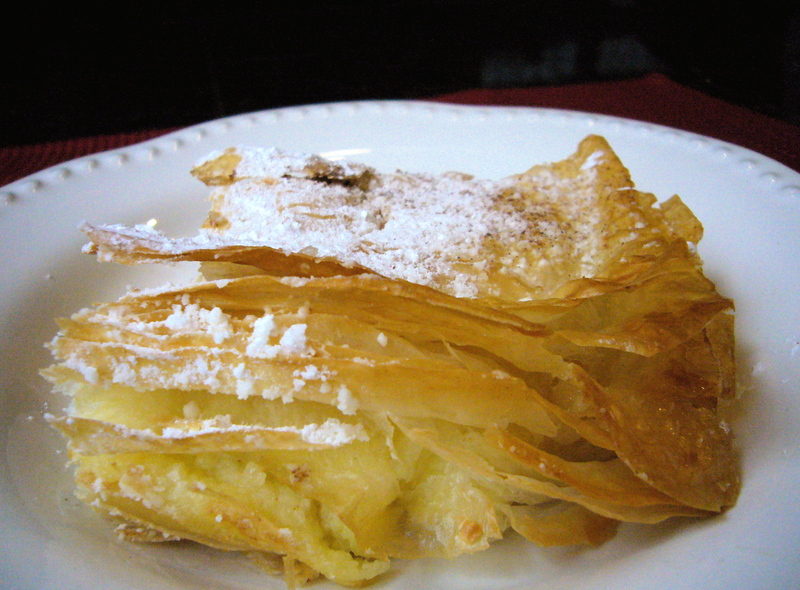 Top with the remaining phyllo, brushing each with butter. Use a scissors to trim the top sheets to the size of the pan. Spray the top lightly with water and bake at 350°F (180°C) for 30-40 minutes, until the top is golden brown. Remove from oven, sprinkle with confectioner’s sugar and cinnamon while hot, and serve warm. Serving tip: In Greece, Bougatsa is cut with a pizza cutter. Adventures in Greece – to be continued . . .
As the plane touched the ground, cheers were heard amongst the group of weary travelers. Admittedly, I was one of those cheering to be back on U.S. soil after traveling in Greece for almost two weeks and being in transit for nearly twenty hours. I’m the type of person that the Concorde supersonic jet was built for – the type that needs to get from point A to point B as quickly as possible. Sitting and waiting do not seem to be among my strengths. I was probably one of those kids that sat in the back seat and asked “Are we there, yet?” Now that I’m back on my own terra firma and supervising fifty loads of laundry, I can take pause to reflect upon certain aspects of my trip. My daughter has truly become an independent, self-assured young lady. She’s always been mature and independent, but her tenure abroad has added a new dimension to her confidence. She bravely went to Greece alone, made new friends, learned to speak and read some modern Greek – which is no easy task, excelled in her five difficult university courses, and with the ease of a seasoned traveler, she navigated her way around Greece, Bulgaria, Egypt, and Jordan. 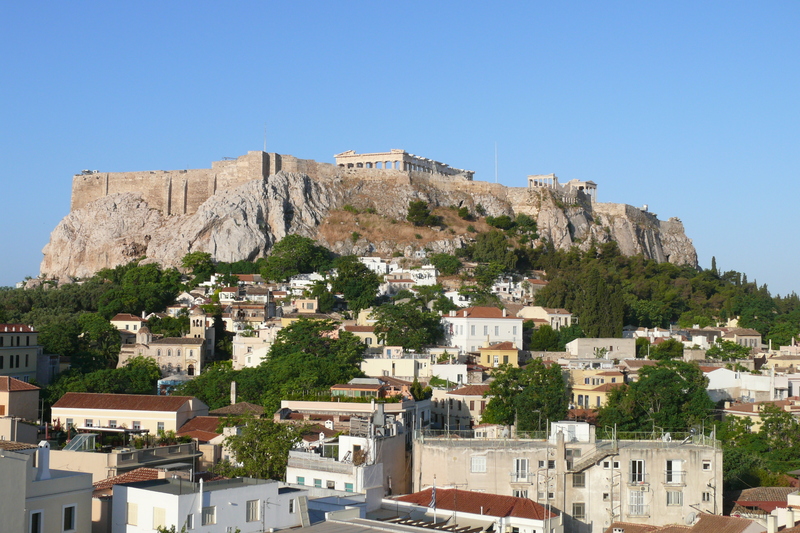 Her extensive knowledge of Greek history was evident as she proved herself a competent tour guide ushering me and my husband throughout the historic sites in the city of Athens. I listened intently as she spoke passionately about the economic and cultural issues of Greece – a country she vows to return to one day. Whereas my daughter wants to be a world traveler, I discovered I really don’t enjoy traveling for extended periods of time. I am good for about ten days and then I start to get weary of the hustle and bustle and the lack of a good night’s sleep. Having been fortunate to have traveled a bit, I acknowledge that I’ve seen sights and sounds in parts of the world that other people only dream of. 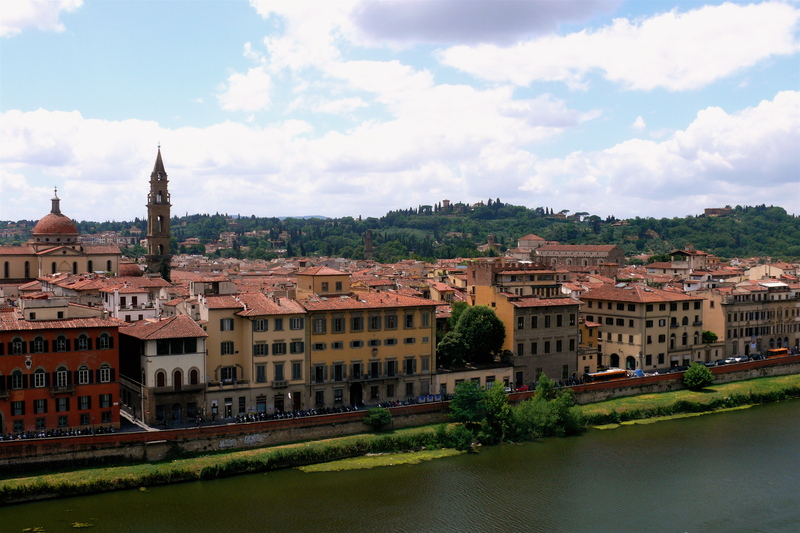 I would never trade my memories of visiting my dad’s village in China or of my first glimpse of the crystal clear, cerulean blue waters surrounding Bora Bora or of the charming little towns of Italy’s Cinque Terre, but at some point during all of these trips, the overall strain of traveling and sightseeing starts to overshadow the wonderment. Dorothy said in the Wizard of Oz, “If I ever go looking for my heart’s desire again, I won’t look any further than my own back yard.” This morning as I sipped my tea, I gazed out of my kitchen window and looked at my backyard. With gazania, geranium, and begonia blossoms painting the garden with vivid splashes of color and carpet roses cascading over boulders like an undulating ribbon, I indulged myself a few moments to take it in. The scent of citrus blossoms wafted through the window and the sounds of water trickling from the fountain welcomed me home. Greece was wonderful to visit, but to me there’s no place like home. and Mary song that’s played in my head for the last several days as I prepared for a trip. In my head I must have packed my suitcase a dozen times, but In reality, I waited until the last minute. Packing light has never been my forte, but I was determined to be more of a free spirit this time. 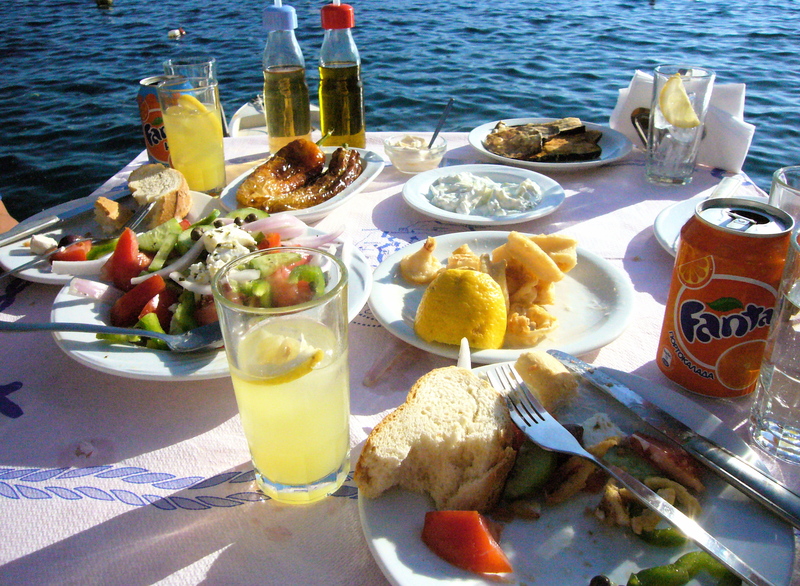 How much stuff do you need in Greece, anyway? Wish I had the “Devil may care” type of personality that allowed me to throw whatever into my suitcase and just take off. The packing “one” theory does not work for me, either. You know, one suitcase, one wrinkle proof jacket, one pair of perfect pants, one pair of comfortable, yet stylish shoes (isn’t that an oxymoron? ), etc. Shoes are always an issue for me. My whole wardrobe, whether it be for work or vacation, revolves around my feet. I’m a difficult fit to begin with – flat arches, thin as pancake feet, splayed and long toes, and narrow heels. So, in order to pack light, I had to jettison a lot of clothes and accessories, but I’m off to Greece with only one small suitcase and five pairs of shoes! I’m hoping to write some short posts for my blog while I’m out and about discovering Greece through my daughter’s eyes. As they say in Greek, “Yah sahs!” or good bye for now! I’m leaving Boston now on a jet plane . . .
Pepto-Bismol? Check. Ace bandage? Check. This is me mentally going through the contents of my traveling medicine bag. Whenever I travel long distances, I grab my plastic travel bag that contains medications and first aid items. I’ve learned that when traveling you can’t always buy medications when you need them. For the most part, my medicine bag is ready to go at a moment’s notice; I do, however, review expiration dates before I leave and replace any items that have expired. Most of the time the contents of my medicine bag does not change, but it may vary depending on my destination. Obviously I’m a detail-oriented person, but I’ve learned a lot about packing from my mother. Once when I was preparing for a trip to China, my mother told me, “Throw in some strapping tape and an Ace bandage.” I mumbled to myself, “Why do I need those things?” Being a dutiful daughter, I threw them into my bag. Traveling in China during the 1980s was restrictive. You could not deviate from the schedule and most certainly could not leave the tour group to run to the nearest drugstore to make a purchase. So sure enough when someone in my tour group fell down and sprained her ankle, I stuck my hand up in the air proudly and said, “I have an Ace bandage!” And later during the tour when someone’s suitcase tore, I volunteered, “I have strapping tape, if you need it.” Two out of two – never again have I doubted my mom’s packing advice! While traveling with my children over the years, I’ve learned that unexpected issues can arise and it’s always better to be prepared. Because of this I’ve had to add items to my traveling medicine bag. I’ll never forget this experience: It was a lovely day in Hawaii and my husband, children, and I were enjoying a day out on the beach. My oldest son was building a sand castle when he stepped on a bee and got stung underneath his big toe. I grabbed my room key, which was a plastic credit card-type, and gently scraped across his skin to remove the stinger. As his foot began to swell, I reached for a chilled can of soda from our day pack and held it to the swelling. Once back in our hotel room, I applied hydrocortisone cream to the area and gave him a Benadryl tablet. Since we were in Hawaii, we could have easily run out to a drugstore, but having these items on hand, I was able to attend to his swollen foot without delay and prevented his symptoms from getting worse. Like prescribed medications, I keep this medicine bag in my carry on luggage. To make the traveling medicine bag lighter, more organized, and more compact, I remove all medicine from their boxes. Then I dismantle the boxes until they are flat and make photocopies of the important information on them. I cut out the photocopied information and put them into sandwich-sized Ziploc bags along with the medication. Blister packs of medication work well, but If you have bulky pill bottles or Costco-sized containers, pour some pills into labeled (medication name, # of mg/per pill, dose, expiration date) small, jewelry-sized plastic bags before placing them into the sandwich bags with the instruction sheets. All sandwich-sized Ziploc bags then get placed into the traveling medicine bag. I probably would have made a great Girl Scout, because I am always prepared! Always read and follow the accompanying instructions on medications and always check with your doctor to see if there are any contraindications for any member in the family to take these drugs. I lost myself today. I mean I lost myself in the sense of not caring where I was or what time it was. 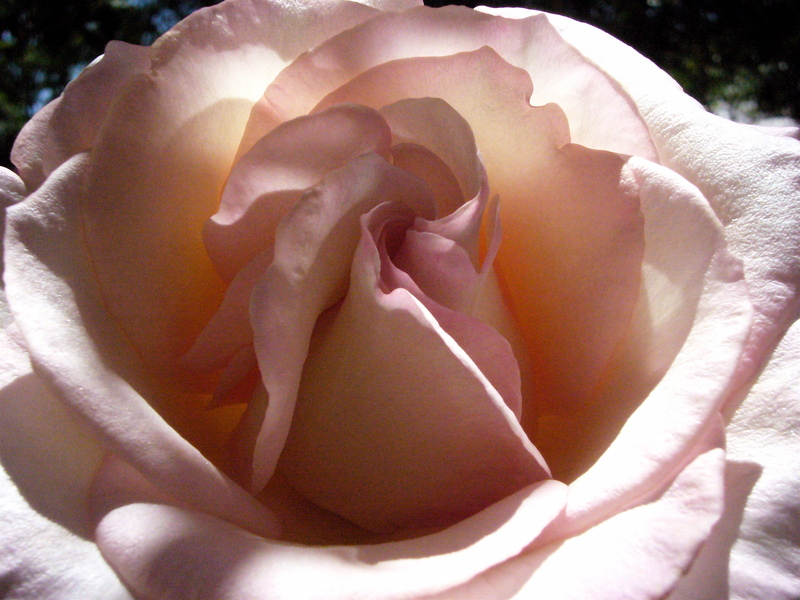 Feeling a little creatively blocked this morning, I grabbed my camera and went outside to photograph my rose garden. There is nothing quite like losing yourself in the magnificence of nature, in my case a rose garden during its first bloom of the season. The first bloom of the season is always a show stopper. After being dormant for many months, the roses put forth a tremendous effort to produce a caliber and profusion of blossoms not seen during the rest of the year. One hundred and sixty-four photos later my head cleared and creative ideas flowed again. The wheels of this foundation may not have arrived in your area, yet, but the concept is still viable. Why not recycle and rearrange flowers from an event and give them to those who would really appreciate beautiful gifts of hope? #2 – Wine Bottles In Your Garden! If you have a lot of empty wine bottles around the house, here’s a way to recycle them. An an article in Lifehacker suggests using wine bottles as garden edging. Bottles are stuck neck down into the soil, two rows wide to form a protective border around vegetable gardens. How many different types of aphids exist? I must have seen at least five types in my garden today. According to Wikipedia there are about 4,400 species! To rid my rose garden of aphids, I dislodge them with a blast of water or run my gloved hand along the stems to brush them off. For more ideas on how to get rid of aphids read this article. When I bake cookies I always cover my cookie sheets with parchment paper. Most of the time it’s parchment paper that’s been used before. Every time I’m done baking, I wipe the grease and crumbs off the paper with a slightly damp cloth. After it dries I store the paper on the cookie sheets so they’re ready for my next baking adventure! You cannot control the world outside, but you can choose what you bring into yourself. If you do not see anything of value in life, begin by finding one thing of beauty every day until it becomes a habit. Happy Mother’s Day to all you wonderfully dedicated mothers out there!